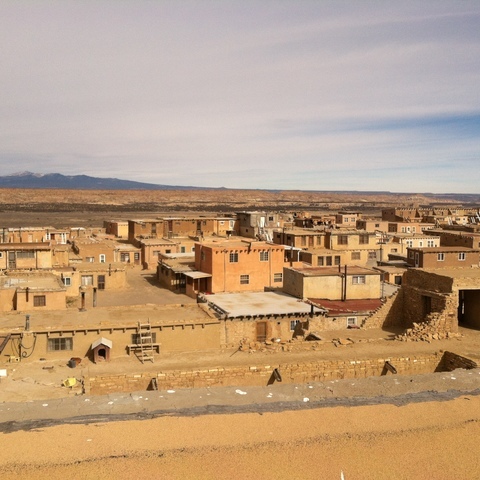 Perched atop a 365-foot mesa in the high desert of New Mexico, the Pueblo of Acoma is the oldest continuously inhabited community in the United States. 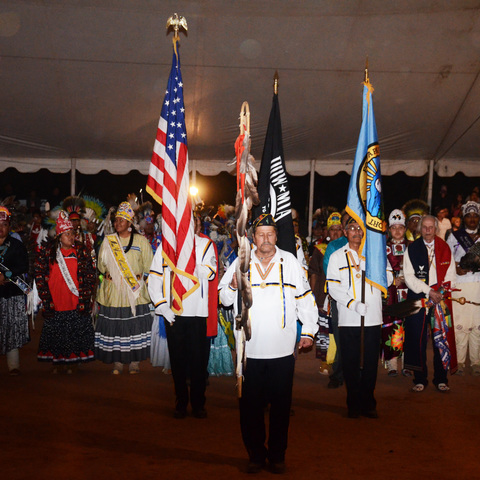 Over thousands of years, tribal traditions have passed down through generations of Acoma families. 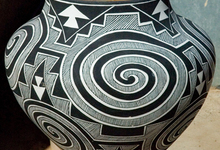 One of the most distinctive of these traditions is the ancient style of Acoma pottery, which was once on the brink of being lost to the changes of modern times. At the turn of the 20th century, pottery making among Acoma women was waning as handmade clay vessels and other traditional wares were replaced with modern conveniences. Fortunately, a group of women born during that time took up the old ways out of pure passion for the art and produced brilliant pottery that would not only establish the pueblo as an art mecca, but also continue the line of ancestral knowledge. The women known as the Four Matriarchs – Marie Z. Chino, Lucy Lewis, Jessie Garcia and Juana Leno – are credited with reviving the artistic tradition and bringing great acclaim to Acoma pottery. The Four Matriarchs taught their daughters and granddaughters to dig for clay and shards of ancient pottery in the remote areas of Acoma. They showed them how to clean the clay, the time-intensive shaping and carving processes, and the incredibly precise geometric painting style. All of these steps are closely tied to nature; the brushes are made from yucca plants, the dyes are produced from vegetables and ground rocks, and the firing is done outdoors in a clay beehive-like kiln, which is fueled by cow manure and set ablaze. The Four Matriarchs spurred an artistic movement that took their exquisite pottery from roadside sales to galleries around the world. 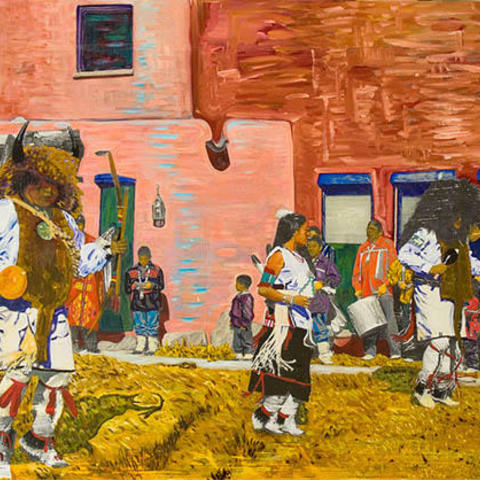 Their proud tradition lives on, not only through their art, but also through the hands of their grandchildren, and their children, who are learning the skills of their elders today. Learn more about this artistic tradition at the Pueblo of Acoma's Haak'u Museum and Sky City Cultural Center. You can also meet Acoma artists at Market Plaza, where the artists display, create and share living tradition. The Acoma Pueblo pottery style is characterized by fluted rims and thin walls. Acoma artists are well known for their fine line painting and geometric patterns, which often symbolize elements from nature: hatching patterns symbolize rain. Pottery traditionally provided a range of functions, including seed collection, water jugs for hunting trips, and cooking vessels. Today, Acoma potters continue to produce a wide variation of pots, some for storage and other for cooking, like dough bowls for mixing bread dough in. A piece of pottery can take 60-80 hours to create before firing.